Best Products and Tools for Work at Home Moms. I was talking with a group of moms this week about the juggle of working with a baby, and each mom commented on how incredibly lucky I was to be able to stay home with Jane while working for myself. I’m coming up on two months since I officially took the blog full time and the work-from-home life has been both challenging and amazing. Hearing those moms share their perspective gave me a much-needed reminder of how wonderful it really is that I get to do a job I love and still get to spend all day with Jane. My “new normal” has not come without it’s challenges though. I’ve been working hard these past two months at finding my work/mom rhythm. Jane is three and a half months old, and only in those past two weeks have I finally started to feel some normalcy in our routine. 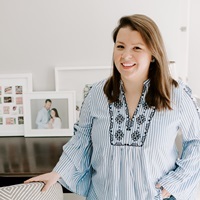 Reading about other working mom and business owners’ workday routines is one of my guilty pleasures; I gobble up those articles and dig for tips I can apply to my own life. I thought it would be helpful to share a bit about what’s worked for us in our own routine, in the tools I use, and the products that are making my life a bit saner. To start, I’ve come to the realization in the past few weeks that are certain types of work that I can tackle in small bursts while Jane is playing. I type out emails one-handed on my phone while feeding her, I send out invoices while she’s occupied with a toy, and I cart her along in the stroller when I’m prop-shopping for photo-shoots. The other type of work though, writing like this, I find incredibly hard to wrap my head around without bigger blocks of time and focus. After a few stressful nights where I realized I just couldn’t get the words out when writing late at night like I used to ne able to pre-baby. I’m typically the anti-morning person, but have been forcing myself to wake up early, before Jane gets up for the day, a few days a week to get in uninterrupted writing blocks. I also found an amazing babysitter who just started coming over two days a week for a few hours in the afternoon. I am amazed the amount of work I can get done in two uninterrupted hours. I try to block that time for writing work only and save things like emails, errands, and small admin tasks for other times. Another way I’m finding sanity in this new role of a work at home mom is to be super organized. I’ve been compulsively organized my whole life, but have required a new level of list making since Jane has been born. Mom-brain is a real life ailment guys; I struggle to remember anything and everything if it’s not written down. Since I’m much more on the go with Jane I’ve been leaning on a digital to-do list; the app Teux Deux has been a lifesaver to keep track of deadlines and tasks and ideas (and you still get the satisfaction of crossing completed items off the list with a tap to the screen!). Getting ahead of deadlines is another key way of staying on top of work for me; last minute scrambles stress me out and just aren’t always doable with the unpredictably of working with a baby in tow. I’ve been breaking large projects into smaller day-by-day tasks to help get things done! 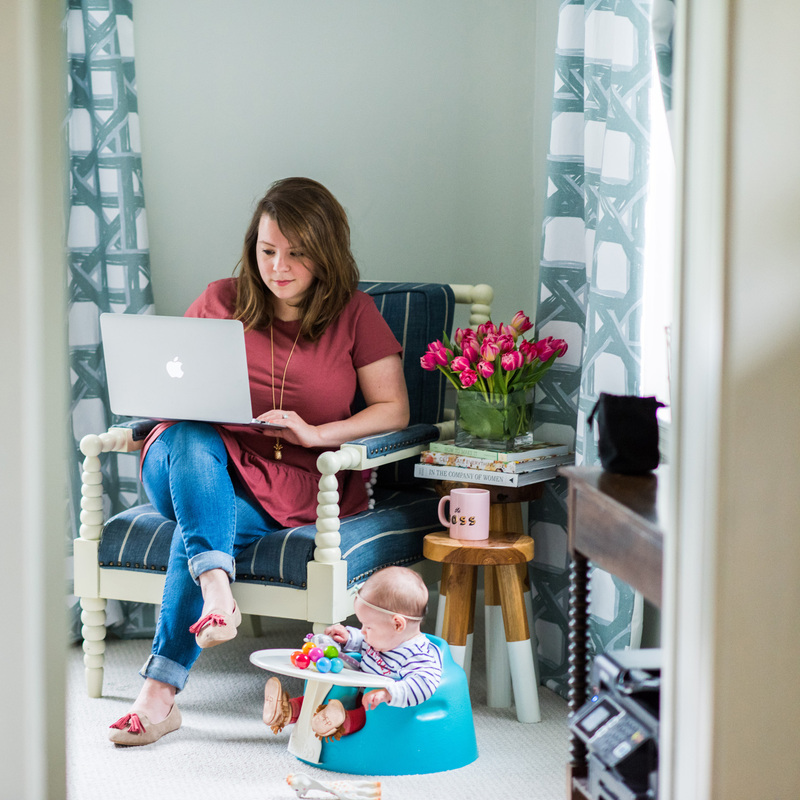 Adjusting my working hours, staying organized, and getting some outside babysitting help have all been hugely helpful steps in finding a manageable working-mom routine. I’ve also been leaning on a handful of helpful products to keep Jane contained and busy while I’m working. Perhaps our most-used baby item is our Baby Bjorn Bouncer. 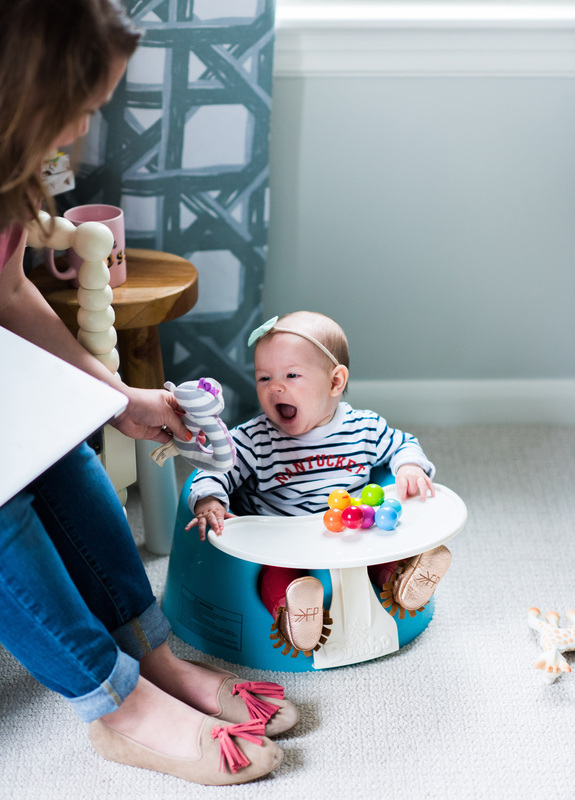 The way this bouncing chair is designed made it easy for us to pop Jane in there even before she had tons of head control – which was a lifesaver. She hangs out in this while I’m in the shower, cooking, eating, or working on photographing projects. I also love that it folds up, and comes with a cute toy bar that she’s starting to enjoy now. Another great place to pop Jane down in — now that she has a bit more head control — is the Bumbo seat. Friends of ours let us borrow this one and she loves sitting in it with the tray snapped on so she can slide her toys across it. She’s just starting to really get “playing” and has a small handful of favorite toys, including Sophie the Giraffe (of course! 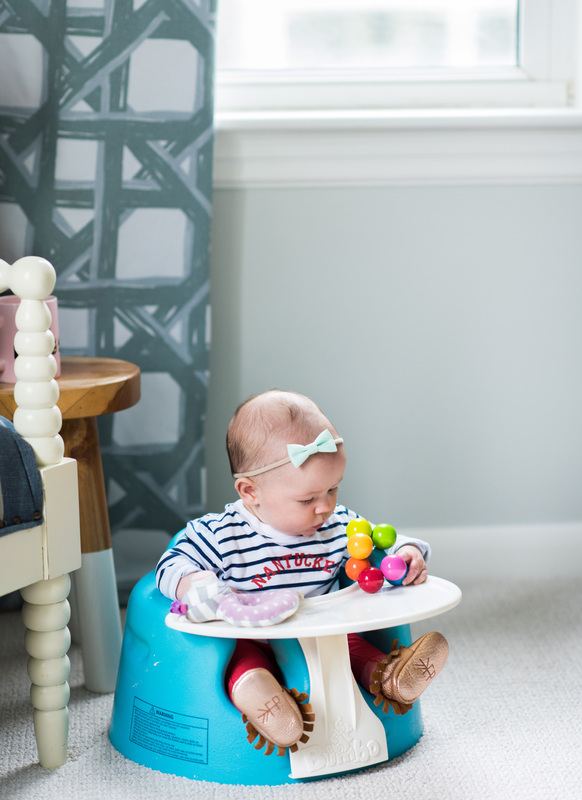 ), this pretty wooden rainbow grasping toy, a few of the Organic Farm Buddies Rattles and a stroller toy bunny that makes a crinkly noise – she loves anything that crinkles. 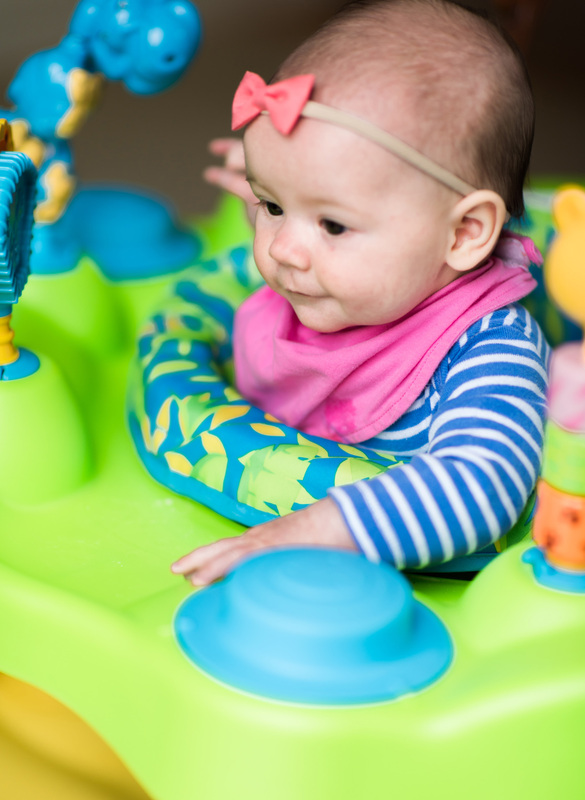 Just in the past week she’s finally gotten big enough to stand and play in an exersaucer that our friends gave us. 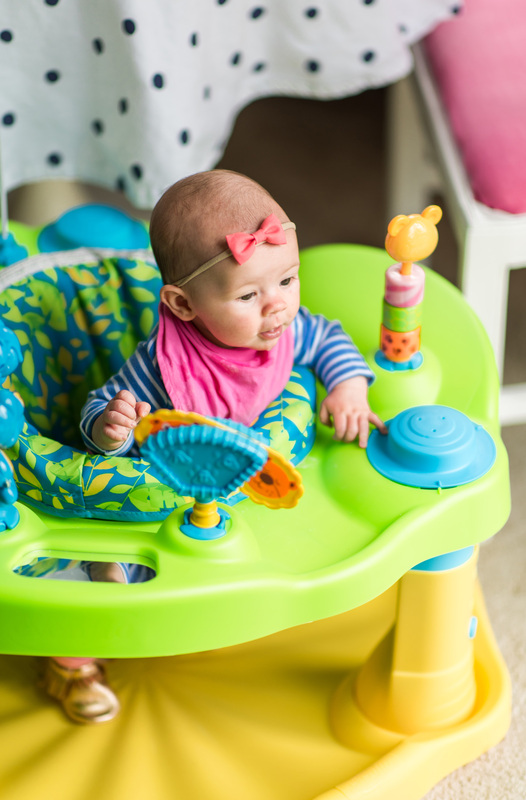 I swore I would never have one of these things in our house because they’re giant and plastic and a bit of an eyesore, but then I saw her in it and my heart melted. I realized I can handle this giant thing clashing with my living room furniture for a few months when it makes her so happy. She looks like such a big kid standing up in it, and it seems to be keeping her attention well now that she can swivel a bit to look and play with all of the toys. When Jane gets really fussy and playing on her own isn’t the cards, I’ll throw her in the Baby K’tan wrap. I can usually tackle things like vacuuming with her hanging out in there. I’m also realizing that naptime is the saving grace of any work-at-home mom! We’re working on getting her to take naps outside of the car seat, and on the rare occasion that works out, we have a great video monitor that I can use to keep an eye on her while I work in my office. I love the giant screen on this thing, and you can move the camera around remotely to get a better angle if she shifts around in the crib. My last resort, when I’m ready to throw in the towel, is to take her for a walk to our local coffee shop. She adores her car seat and stroller. It’s a good way to reset her mood and give both of us a little break so we can get back home and start fresh. That’s how things are working here these days, and I’m sure they’ll change as starts to grow and get a bit more independent – everyday seems to get a little bit better. I’m all ears too: any other tips, advice, or resources you have to share with me? Let me know in the comments! Mother’s Day Gift Guide. 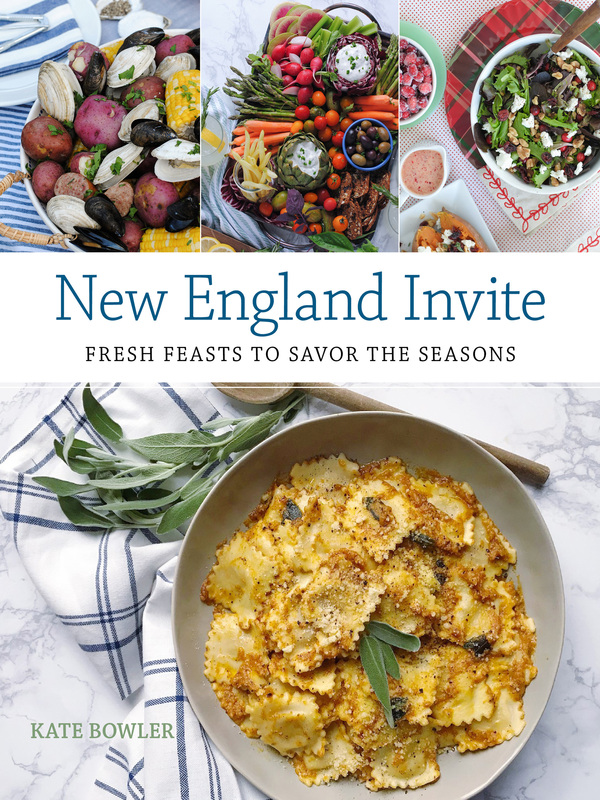 A Mother’s Day Giveaway. 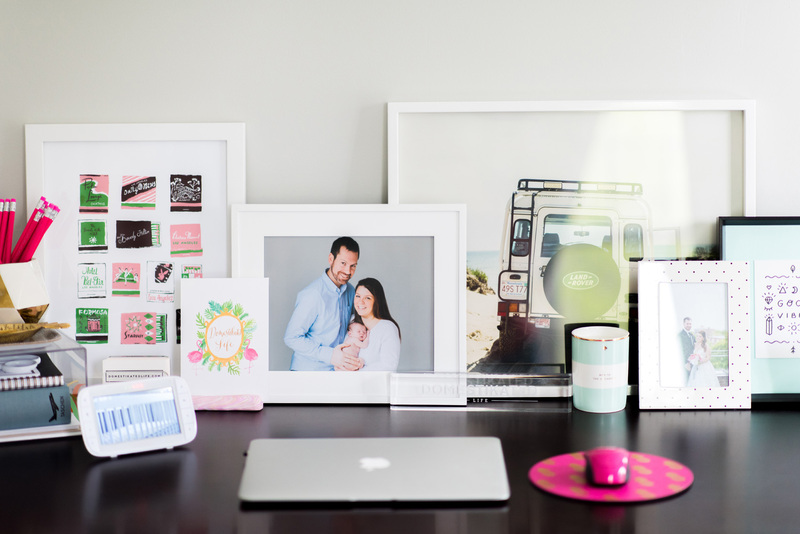 4 Responses to "Best Products and Tools for Work at Home Moms." nice post! 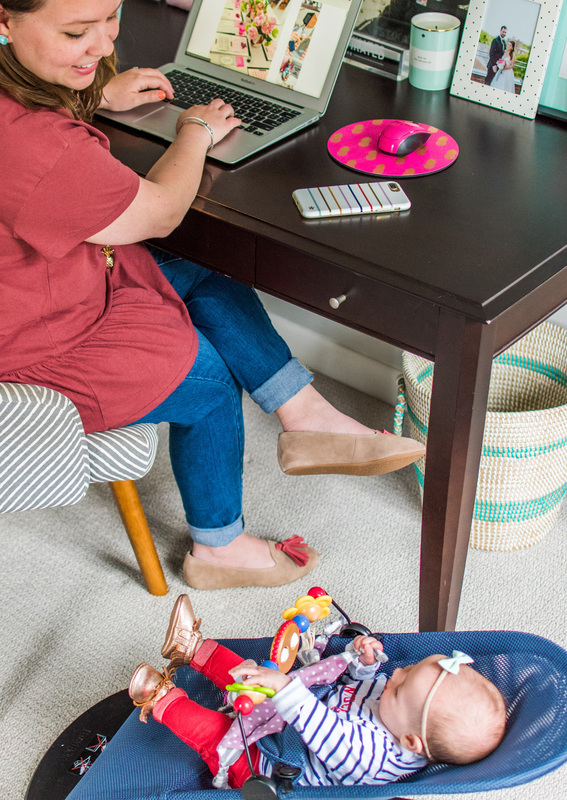 I am also a work at home mom, although my daughter is now 18 months and is running around constantly! I never thought I’d miss the Jumperoo, haha. I ended up moving my desk into the playroom so she can run around and play while I get some stuff done. I do leave my more concentrated work for naptime is at nights now though. good luck to you! So smart! I have a feeling my office may eventually become the playroom, so I love that idea! Yes, it’s terrible to look at, but so worth the 20 minute stretches of working time when she’s entertaining herself in it! This one isn’t too giant, and is pretty reasonably priced too! Good luck!